Chill out on or off the water with the new Chill Shade. Designed to provide versatile sun protection both on the water and on the beach. 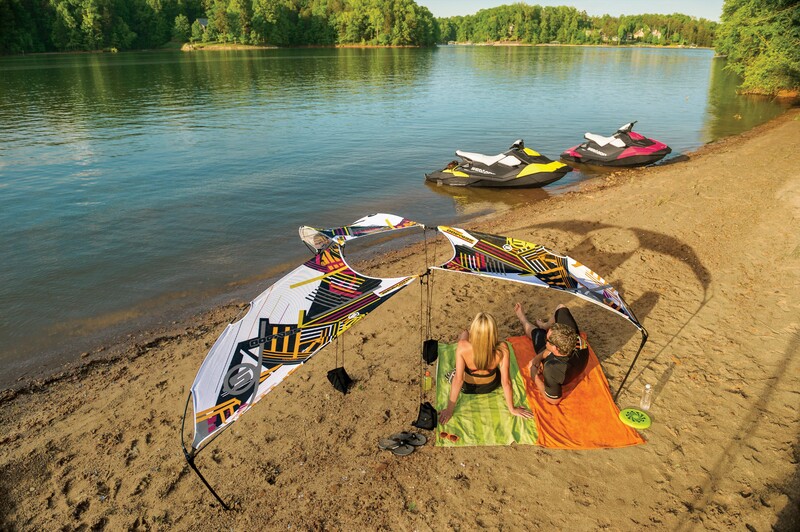 The Chill Shade can be quickly and easily installed onto the new Sea-Doo Spark™ watercraft. 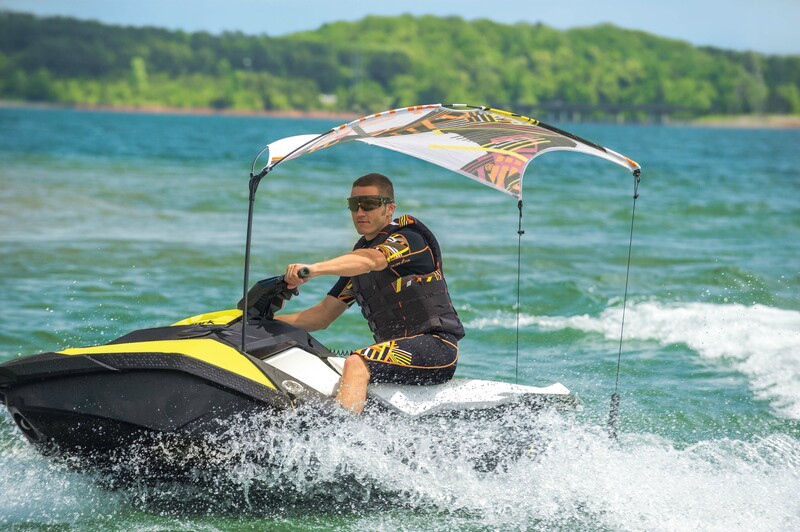 The innovative Chill Shade can be used while underway at speeds up to 35 mph (56 km/h) and stores conveniently on a Sea-Doo Spark watercraft. The Chill Shade is made of colorful netting providing protection from the sun and can be quickly converted for land use with two pouches designed to act as sand anchors. The tones of the Chill Shade directly correspond with the playful colors of the Sea-Doo Spark watercraft. THEY SAID WHAT? So exactly WHAT is iBR you ask? Personalwatercraft.com recently provided a review of our exclusive Intelligent Brake and Reverse and highlights the on-water braking technology. iBR® Intelligent Brake and Reverse. The world’s only on-water braking system, iBR lets you stop up to 100 feet sooner than any other watercraft*. All with the squeeze of a lever. And with its electronic reverse, it gives you a level of maneuverability that makes docking easier. To read the full text of the story click here. *Traveling at 50 mph/80.47 km/h based on internal testing. PARTICIPATION CONSTITUTES ENTRANT’S FULL AND UNCONDITIONAL AGREEMENT TO AND ACCEPTANCE OF THESE OFFICIAL RULES #FINDYOURSPARK Sweepstakes (hereinafter referred to as the “Sweepstakes”) is for a limited time and begins on December 6, 2013, at 09:00 am ET and ends on February 28, 2014, at midnight ET. The Sweepstakes is sponsored by Bombardier Recreational Products Inc. (“BRP” or the “Sponsor”) 565, de la Montagne, Valcourt, Quebec, J0E 2L0. 2) NO PURCHASE OR CONTRIBUTION NECESSARY TO ENTER OR WIN. A PURCHASE WILL NOT INCREASE YOUR CHANCES OF WINNING. 3) ELIGIBILITY: This Sweepstakes is open to legal residents of Canada and the United States (excluding Puerto Rico and Quebec) who have reached the age of majority in their states/provinces of residence as of the date the Sweepstakes begins. Employees of BRP, their subsidiaries, affiliates and advertising and promotional agencies of BRP and their immediate families (spouse, parents, children, siblings and their spouses) and individuals living in the same household as such employees are ineligible. This Sweepstakes is governed by the laws of Canada and subject to all applicable federal and provincial laws and regulations. VOID WHERE PROHIBITED OR RESTRICTED BY LAW. (i) An eligible individual (“Entrant”) may enter the Sweepstakes by logging on to Facebook® and visiting http://www.facebook.com/SeaDoo (the “Page”). If the Entrant does not already “Like” the Sweepstakes Page, the Entrant must “Like” the Page before registering. In addition, before being allowed on the Registration Page, Entrant agrees that the Sponsor may capture the Entrant’s Facebook account information and complete registration. An Entrant must register by completing all of the requested information, including valid e-mail address (“Address”), his/her first and complete last name (no initials), Zip Code/Postal Code, phone number and date of birth. (ii) Before completing registration, the Entrant must accept and agree to the rules. Upon completing registration, the Entrant will receive one (1) entry into the Sweepstakes Pool. Once entrant provides the requested information, they will receive one (1) entry by completing the entry form on the microsite or the mobile entry site and uploading a photo into the photo contest. (iv) Contestants enter the contest by posting a photo, taken at the boat show, auto or motorcycle show (see applicable rules in “a” above), upload the image to the social networking sites Twitter and Instagram, and tag it with the hashtag #FINDYOURSPARK.” Once uploaded the contestant will be prompted, within 24 hours, to “claim the entry” and asked to complete the contest entry. To claim and complete the entry, the Entrant must register by completing all of the requested information, including valid e-mail address (“Address”), his/her first and complete last name (no initials), address, phone number, Zip Code/Postal Code and date of birth. For example: If entrant posts a photo of him or herself directly in the Facebook application it is one entry. If a contestant would prefer to post their photo submission on Instagram and tag it with the hashtag #FINDYOURSPARK, the photo will be pulled into the contest application and we will post a message on the image that says: “To complete your entry, claim your photo at bit.ly.234ljlnc. Upon entering this link the contestant will be directed to the photo application in Facebook and will be prompted to complete the contest entry. The entry is NOT accepted or complete until all information has been provided and the contestant has entered the contest. (vi) The Sweepstakes require that an Entrant either already have or open an account on Facebook, Twitter or Instagram to participate. (vii) Photos entered into the contest become the property of Sponsor, but Sponsor is not responsible for the content that is posted by contest participants. • Contain any images or words that are obscene or offensive, endorse any form of hate or hate group. 6) SELECTION OF WINNER AND PRIZE CLAIM: Draw will be held on May 7, 2014 at Sponsor office located at Bombardier Recreational Products Inc., 565, de la Montagne, Valcourt, Quebec, J0E 2L0. Winner is randomly selected. Odds of winning depend on number of entries received. One (1) registration per individual. Limit of one (1) entry per person. 7) Only the possible winner will be contacted with the email address or phone number he will have provided on by the Sponsor. If the Sponsor cannot get a hold of original winner within seven (7) days, a new draw will take place and another winner will be contacted. All contacted possible winners have five (5) working days to contact Sponsor at the following telephone number: (715) 848-4957 for US residents and (819) 566-3366 for Canadian residents or another possible winner will be drawn. Sponsor BRP will do its best to accommodate the official winner in terms of coloration of the prize. Based on that, the prize will be shipped in the best delay possible considering availabilities, after verification, which will allow Sponsor to verify every winner’s compliance with these Official Rules. Promotion Entities shall not be held responsible for any delays in awarding prizes for any reason outside of their control. Prizes will only be delivered to verified Winners. 8) Once the official winner has been identified, he/she will be sent the following week an affidavit of eligibility and liability/publicity release and a W-9 form (for US resident winners only). All relevant documents must be signed and returned to Sponsor within five (5) days of the date of the liability/publicity release to become the official winner, or the prize will be forfeited and an alternate winner will be drawn randomly. All prize claims are subject to verification. Should the possible winner be a Canadian resident, he/she will have to answer a skill question (2 X 10 ÷ 4 + 30 – 2) before being declared the Grand Prize winner and being awarded the prize. 9) The winners release the Sponsor BRP and everyone involved with the sweepstakes from all liability for any and all injury, accident, loss or other damage or inconvenience related to the prize or in connection with the acceptance, conveyance or use of said prize. 10) These rules are published on the Offerpop Facebook application. 11) By accepting the prize, participant consents to the use of his/her name, photograph, image, voice, and statements related to the Sweepstakes, for advertising purposes, without further compensation. There are no transfers, substitution and prize is non-refundable. 13) Sweepstakes materials are automatically void if they are reproduced, mutilated, forged, altered or tampered with in any way, if they are obtained through unauthorized, illegitimate channels, or if they contain printing, production, typographical, mechanical or other errors. Liability for game pieces containing printing or other errors is limited to replacement with another game piece while supplies last. Only the number of prize stated in the Official Rules will be awarded. This Sweepstakes is subject to all applicable federal, state and municipal laws and regulations and is void where prohibited by law. 14) This Sweepstakes is in no way sponsored, endorsed or administered by, or associated with, Twitter, Instagram, or Facebook. Participants are providing their information to Sponsor and not to Twitter, Instagram or Facebook. The information provided will only be used as stated in the Sweepstakes Rules. Twitter, Instagram or Facebook are completely released of all liability by each Entrant (and, if the entrant is at least 18 but under the age of majority in his/her province/state/territory of residence, his/her parent or legal guardian) for this Sweepstakes. Any questions, comments or complaints regarding the Sweepstakes must be directed to the Sponsor. 15) Sponsor is not responsible for lost, late, damaged misdirected, defaced, mutilated, illegible, incomplete, postage-due, or altered mail or prize claims or other entries or matters pertinent to this Sweepstakes. Winners are randomly selected. The Sponsor is not responsible for printing, distribution or production errors or errors by mechanical readers or for lost, late, misdirected or postage-due mail or entries. In the event that production, seeding, printing or other errors cause more than the stated number of prizes of any category to be claimed, Sponsor reserves the right to suspend delivery of prizes, without prior notice. 16) By entering this Sweepstakes, winner acknowledges and agrees that Bombardier Recreational Products Inc., BRP US Inc., their affiliates and their respective officers, directors, employees, dealers, agents, and insurers (collectively, “the Released Parties”) (i) shall have no liability of any kind whatsoever with respect to this Sweepstakes and/or the awarding or use of the Prizes, (ii) make no warranty, guaranty or representation of any kind concerning the Prizes, (iii) disclaim any implied warranty of merchantability or fitness for any purpose, and (iv) are not liable for injury, loss or damage of any kind resulting from the acceptance or use of the Prizes or from participating in this Sweepstakes. The Release Parties are not responsible for typographical errors or any other errors in the offer or administration of this Sweepstakes, including but not limited to errors in the advertising, the Official Rules, the selection and announcement of winners, or the distribution of the Prizes. Interested in personalizing your Sea-Doo Spark? Check out this short video that explains how to adhere your wrap to your Spark. It is an easy and quick way to make your new watercraft YOUR own! Shred those waves in Sea-Doo attitude with a personalized Sea-Doo Attitude Graphic Kit for your Sea-Doo Spark watercraft. These exclusive wraps can be adhered to make Sea-Doo Spark watercraft stand out from the crowd as well as express personal style. Choose from 11 different Attitude Graphic Kits available in three degrees of customization – light, medium or fully wrapped. There are multiple color options available for a total of 60 different combinations. The digital print designs are UV resistant and are designed to bond to ‘hard-to-stick’ and low energy surfaces. Custom wraps are available by visiting http://www.scsseadoographics.com. Winner must be present at Crazy Horse Campground at the IJSBA World Finals. during the drawing to WIN. 1) PARTICIPATION CONSTITUTES ENTRANT’S FULL AND UNCONDITIONAL AGREEMENT TO AND ACCEPTANCE OF THESE OFFICIAL RULES. #findyourspark Sweepstakes (hereinafter referred to as the “Sweepstakes”) is for a limited time and begins on October 9, 2013, at 09:00 am ET and ends on October 13, 2013, at 10:00 am ET. The Sweepstakes is sponsored by Bombardier Recreational Products Inc. (“BRP” or the “Sponsor”) 565, de la Montagne, Valcourt, Quebec, J0E 2L0. 3) NO PURCHASE OR CONTRIBUTION NECESSARY TO ENTER OR WIN. A PURCHASE WILL NOT INCREASE YOUR CHANCES OF WINNING. 4) ELIGIBILITY: This Sweepstakes is open to legal residents of Canada and the United States (excluding Puerto Rico and Quebec) who have reached the age of majority in their states/provinces of residence as of the date the Sweepstakes begins. Employees of BRP, their subsidiaries, affiliates and advertising and promotional agencies of BRP, and their immediate families (spouse, parents, children, siblings and their spouses) and individuals living in the same household as such employees are ineligible. This Sweepstakes is governed by the laws of Canada and subject to all applicable federal and provincial laws and regulations. VOID WHERE PROHIBITED OR RESTRICTED BY LAW. 5) PRIZE: One (1) Sea-Doo® Watercraft 2014 Spark (Retail value: $ 4,999 USD / $5,599 CAD). i. During the International Jet Boat Sporting Association (IJSBA) World Finals, an eligible individual (“Entrant”) may enter the Sweepstakes by following @BRPSeaDoo on Instagram @BRPSeaDoo. ii. Sea-Doo Spark vehicles will be displayed at points of interest in the City of Lake Havasu, Arizona, with a different location each morning and afternoon. Locations will be announced on the BRP Sea-Doo Instagram feed @BRPSeaDoo and on the BRP Twitter feed @BRPSeaDoo each morning and afternoon. The picture and name location will also be posted each day on Instagram. iii. Entrant must find the Sea-Doo Watercraft Spark each day, and then take a picture of him/herself (selfie) with the Sea-Doo Spark at the daily locations at the IJSBA World Finals as mentioned in (ii) above, upload his/her picture to Instagram and tag the picture with #findyourspark and @BRPSeaDoo. Each original “selfie” photograph submitted of the entrant with the Sea-Doo Spark watercraft entry qualifies as an entry into the contest. There is no maximum number of entries to the contest, as long as the picture is original. Entrants cannot upload the same picture multiple times; each picture must be original to qualify as an additional entry. 7) SELECTION OF WINNER AND PRIZE CLAIM: Winner will be determined through random drawing from all Instagram entries at the World Finals on Oct. 13 at approximately 1:00 p.m at Crazy Horse Campgrounds, 1534 Beachcomber Blvd Lake Havasu City, AZ 86403 at the IJSBA World Finals. (Drawing following the Bounty Final (estimated 1:00 p.m.)). Using random number generator, the winner will be selected. We will generate a list of 10 identified winners and will announce the winner starting with the first name drawn.) We will announce the winner and, if unable to verify the winner, we will then move on to the second winner drawn. The validation will be based on facial recognition since the winner needs to take a picture on or near the Sea-Doo Spark vehicles. The winner must be present at the location of the draw during the draw and will have 5 minutes to request the prize. After this timeframe, winner will be considered not on site and an alternate winner will be selected. Same process will be followed until a winner is confirmed. Odds of winning depend on number of entries received. 8) AFFIDAVIT OF ELIGIBILITY AND OTHER FORMS: Once the official winner has been identified, he/she will be sent the following week an affidavit of eligibility and liability/publicity release and a W-9 form (for US resident winners only). All relevant documents must be signed and returned to Sponsor within five (5) days of the date of the liability/publicity release to become the official winner, or the prize will be forfeited and an alternate winner will be drawn randomly. All prize claims are subject to verification. Should the possible winner be a Canadian resident, he/she will have to answer a skill question (2 X 10 ÷ 4 + 30 – 2) before being declared the Grand Prize winner and being awarded the prize. 9) PRIZE AWARD: The winner will be solely responsible for any applicable taxes, vehicle title, license and registration fees, freight, delivery, emissions, inspection, additional equipment, insurance, gasoline, vehicle maintenance, all other fees and expenses not specified herein associated with the receipt and use of this prize vehicle. The vehicle won must be warranty registered in the name of the winner. The winner must take delivery of his Prize at a participating authorized BRP dealer confirmed by Sponsor no later than April 30, 2014, or prize will be forfeited. 10) The third party application provider, Instagram, will monitor all entries and will tally all applicable entries. 12) The Sweepstakes require that an Entrant either already have or open an account on Instagram. 13) Photos designated with the #findyourspark hashtag, www.instagram.com/BRPSeadoo become the property of Sponsor, but Sponsor is not responsible for the content that is posted by contest participants. Contain any images or words that are obscene or offensive, endorse any form of hate or hate group. 15) The winners release the Sponsor and everyone involved with the sweepstakes from all liability for any and all injury, accident, loss or other damage or inconvenience related to the prize or in connection with the acceptance, conveyance or use of said prize. 16) These rules are published on the Sea-Doo Onboard blog at https://seadooonboard.wordpress.com/?p=4801. At the end of the sweepstakes, the winner’s name will be published on the Sea-Doo Onboard Blog at https://seadooonboard.wordpress.com/. 17) By accepting the prize, participant consents to the use of his/her name, photograph, image, voice, and statements related to the Sweepstakes, for advertising purposes, without further compensation. There are no transfers, substitution and prize is non-refundable. No cash alternatives for any prize, except at the option of the Sponsor, who may substitute a prize of equal or greater value if advertised prize becomes unavailable. 18) Sponsor reserves the right to terminate this Sweepstakes in whole or in part at any time without liability. Sponsor is not responsible if, for any reason, the game is not capable of running as planned, or for any infection by computer virus, bugs, tampering, unauthorized intervention, fraud, technical failures, or any other causes beyond the control of Sponsor which corrupt or affect the administration, security fairness, integrity or proper conduct of this promotion or of any person’s computer hardware or software. 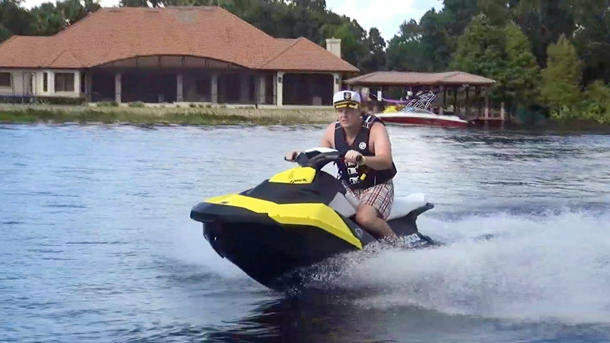 Should the game be terminated prior to the stated expiration date, notice will be posted on the Sea-Doo Onboard Blog at https://seadooonboard.wordpress.com/. 19) Sweepstakes materials are automatically void if they are reproduced, mutilated, forged, altered or tampered with in any way, if they are obtained through unauthorized, illegitimate channels, or if they contain printing, production, typographical, mechanical or other errors. Liability for game pieces containing printing or other errors is limited to replacement with another game piece while supplies last. Only the number of prize stated in the Official Rules will be awarded. This Sweepstakes is subject to all applicable federal, state and municipal laws and regulations and is void where prohibited by law. 20) This Sweepstakes is in no way sponsored, endorsed or administered by, or associated with, Instagram or Facebook. Participants are providing their information to Sponsor and not to Instagram or Facebook. The information provided will only be used as stated in the Sweepstakes Rules. Instagram or Facebook are completely released of all liability by each Entrant (and, if the entrant is at least 18 but under the age of majority in his/her province/state/territory of residence, his/her parent or legal guardian) for this Sweepstakes. Any questions, comments or complaints regarding the Sweepstakes must be directed to the Sponsor. 21) Sponsor is not responsible for lost, late, damaged misdirected, defaced, mutilated, illegible, incomplete, postage-due, or altered mail or prize claims or other entries or matters pertinent to this Sweepstakes. Winners are randomly selected. The Sponsor is not responsible for printing, distribution or production errors or errors by mechanical readers or for lost, late, misdirected or postage-due mail or entries. In the event that production, seeding, printing or other errors cause more than the stated number of prizes of any category to be claimed, Sponsor reserves the right to suspend delivery of prizes, without prior notice. 22) By entering this Sweepstakes, winner acknowledges and agrees that Bombardier Recreational Products Inc., BRP US Inc., their affiliates and their respective officers, directors, employees, dealers, agents and insurers (collectively, “the Released Parties”) (i) shall have no liability of any kind whatsoever with respect to this Sweepstakes and/or the awarding or use of the Prizes, (ii) make no warranty, guaranty or representation of any kind concerning the Prizes, (iii) disclaim any implied warranty of merchantability or fitness for any purpose, and (iv) are not liable for injury, loss or damage of any kind resulting from the acceptance or use of the Prizes or from participating in this Sweepstakes. The Release Parties are not responsible for typographical errors or any other errors in the offer or administration of this Sweepstakes, including but not limited to errors in the advertising, the Official Rules, the selection and announcement of winners, or the distribution of the Prizes. Gear up for a day on the water with Sea-Doo storage items designed to compliment Sea-Doo watercraft and provide you with more than enough room to carry all of the items you need for a fun, dry and organized day on the water. A change of dry clothes or dry towels are necessities when heading out for a day on the water. Whether your destination is your favorite on-water restaurant or that secret cove, having something dry to wear or a dry towel to dry off with, will make for a much more comfortable experience. The Dry Bag is designed with these activities in mind. 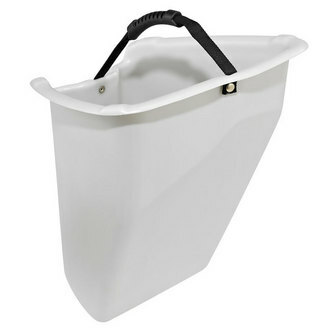 This bad is watertight, and made of puncture resistant PVC coated polyester with a reinforced bottom. It fits perfectly into the front storage are of your Sea-Doo watercraft and is offered in 2.6 US gallons (10 L) or 6.6 US gallons (25 L) capacity. The Glove Box Organizer kit provides a perfect solution to keeping valuables such as your car keys, wallet, cell phone, sunglasses, etc., safe and secure when underway. The kit comes in two pieces: a glove box liner that cushions the inside of the glove box, provides insulation and is designed to fit snugly inside the glove box. The second piece is a semi-rigid portable case with a zip closure that fits perfectly inside the liner. The Glove Box Organizer kit is portable and can be carried with you when you stop on the water or at the end of your day. When gearing up for a day on the water many people like to take water, snacks or picnic items with them. 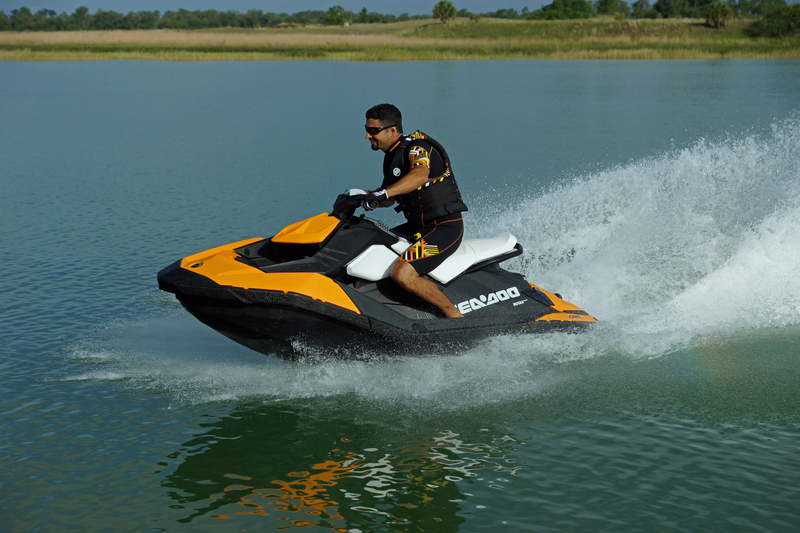 Sea-Doo watercraft are designed with a large front storage area perfect for these type of items. However, when riding, items tend to shift and roll around if not secured. The Front Storage Tray provides an easy storage solution. 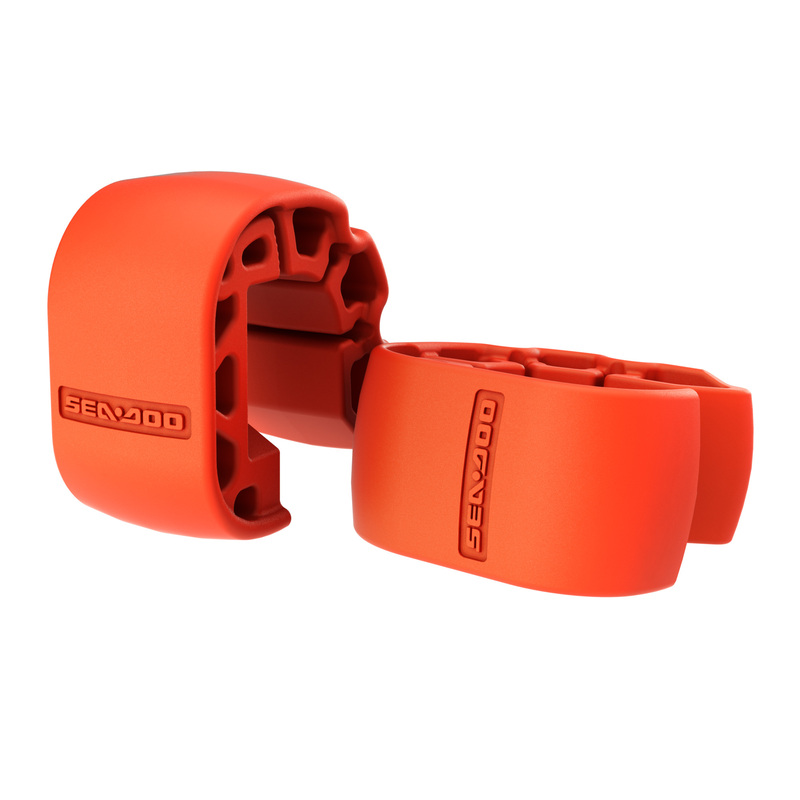 It fits in the front storage area of Sea-Doo watercraft and optimizes this storage area. This storage accessory has a cargo handle to aid in packing and unpacking. Pack the storage tray with all of the items you need when planning for a day on the water then place it in the front area of the watercraft. This storage tray can hold up to 3.2 US gallons (12 L) of your personal items and provides more than enough room for a Sea-Doo Dry Bag and additional items. 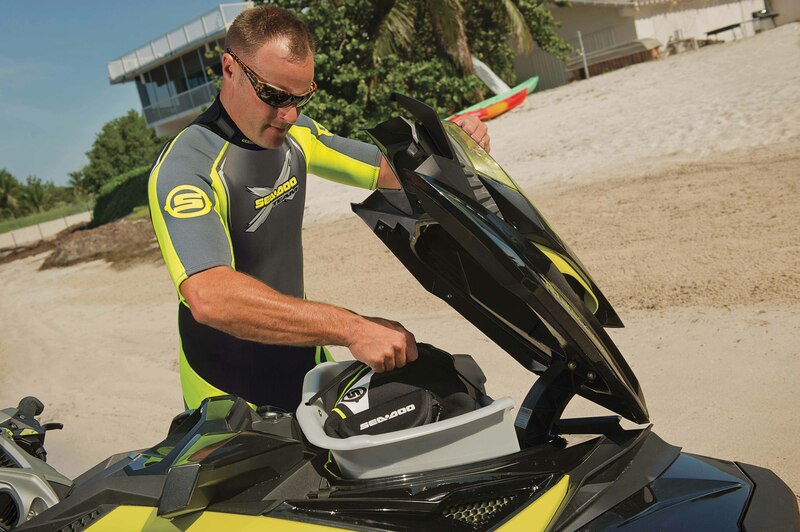 The Storage Tray is designed to fit most Sea-Doo watercraft, ensure that you check your make and model prior to ordering. 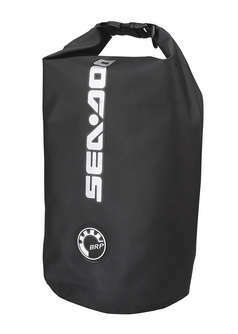 Sport your Sea-Doo style on the water or off with our stylish Sea-Doo Duffle Bag. This durable duffle bag is specially designed for day trips, extended outings or even an overnight trip. 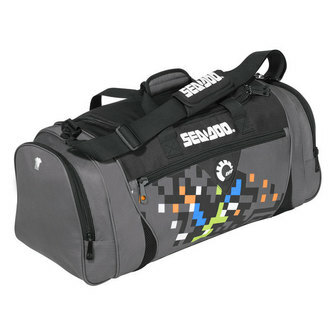 Made of durable polyester, the Duffle Bag has a mesh inner pocket with a key hook to hold your valuables when traveling. It separates food and drinks in a insulated pocket and a waterproof compartment for wet items. The bag comes with a carry strap with shoulder protector and side zippered pockets for extra storage. It mesures 24” x 12 x 12 (60 cm x 30 cm x 30 cm). 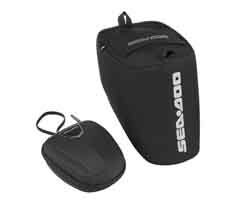 Sea-Doo designs accessories and storage items to ensure great days on the water! All of these items can be purchased at your local dealer or through our Sea-Doo online store. BRP recently introduced the all-new Sea-Doo Spark watercraft designed to make any family’s dream of great days on the water possible right now. The 2014 Sea-Doo Spark watercraft leads an entirely new segment of the Sea-Doo lineup designed for the young family looking for simple and accessible fun in a stylish, compact, and lightweight platform. The Sea-Doo Spark model carries with it BRP’s innovative DNA from the industry-leading Sea-Doo brand. To read more about the Sea-Doo Spark click here. 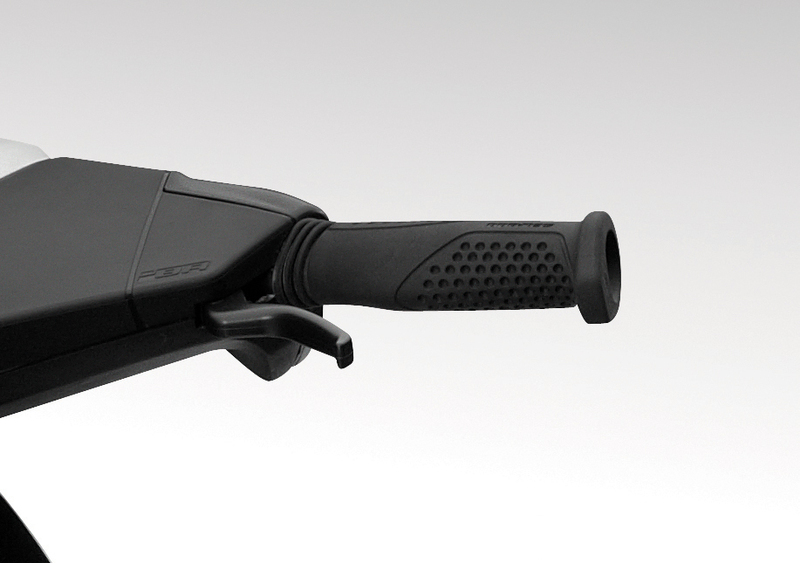 Sea-Doo Spark Snap-In Fenders provide protection in a snap! Snap on the new Sea-Doo Spark Snap-In Fenders for added protection of your Sea-Doo Spark watercraft. The innovative Snap-In Fenders are designed for protection and ease of use. Pre-molded holes in the front and the rear of Spark models ensure a solid connection with the watercraft. The Snap-In Fenders protect your watercraft when docking or when in close proximity to other Sea-Doo watercraft or boats. They come in pairs and in a highly visible red color. The Snap-In Fenders can also be installed on other Sea-Doo watercraft models. An installation kit is required if installing on models other than the Sea-Doo Spark. To quickly and easy stow your Snap-In Fenders when not in use, the Cargo Net attaches to Sea-Doo Spark watercraft. The Cargo Net has a 1.05 US gallon (4L) capacity and is constructed of mesh to ease in water drainage and air circulation. The Cargo Net is also ideal for stowing tow ropes, diving mask and other items. It closes with an elastic cord for quick and easy access. Jesse C. was the lucky winner of the “I Brake For…” Sweepstakes in August. 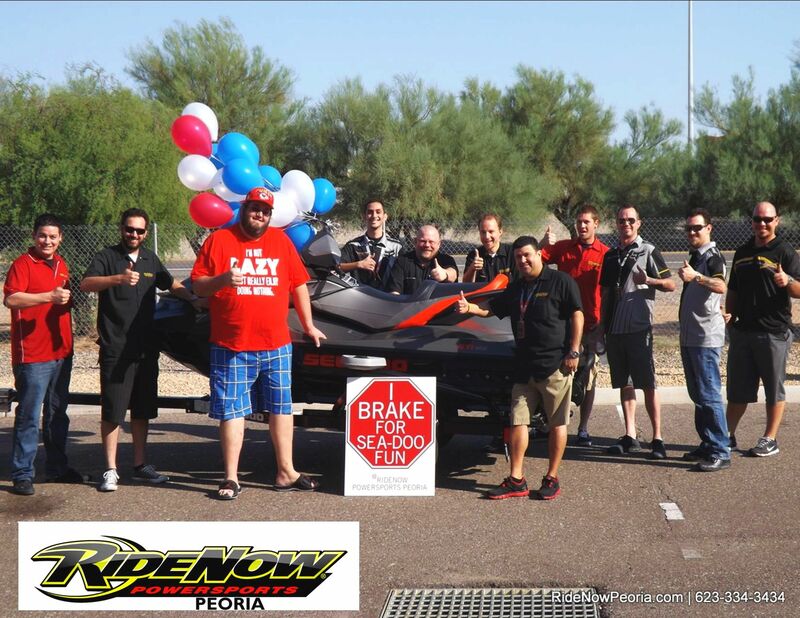 He recently took delivery of his new 2013 Sea-Doo GTI Limited 155 from Ride Now Powersports in Peoria, Ariz. 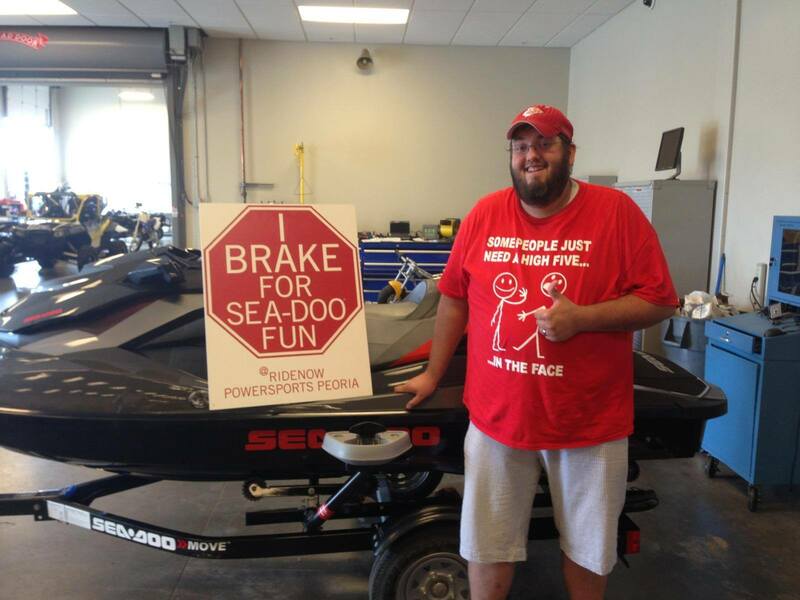 Enjoy your new Sea-Doo Jesse!